We had a great time in Epcot and now we were ready for a break and lunch!!! We walked back to our resort and headed upstairs to change into our bathing suits. Now we had some food in our fridge saved from the night before so we ate first then changed. Now before leaving, our toilet overflowed - ugh!! I ran out of the bathroom to call maintenance.....thankfully maintenance was there in 5 minutes. The man fixed the toilet in less than 10 minutes and told me that housekeeping would be up shortly to clean up the bathroom and that we didn't have to wait in the room....yay!! Time to hit the pool. On our way out, we ran into my sister-in-law and niece who were on their way back. So we went back into the room for them to change and finally we went out to the pool. The pool was great, now the problem was deciding where to go swimming in this huge pool. Storm-along Bay was really awesome! We finally found our spot and jumped in! The water was warm and the bottom was sand....amazing!!! The girls definitely had a blast!!! Now, by 7pm we had to get out of the pool and get dressed to go back to Epcot for the Dessert Party I had to attend with the travel agency. 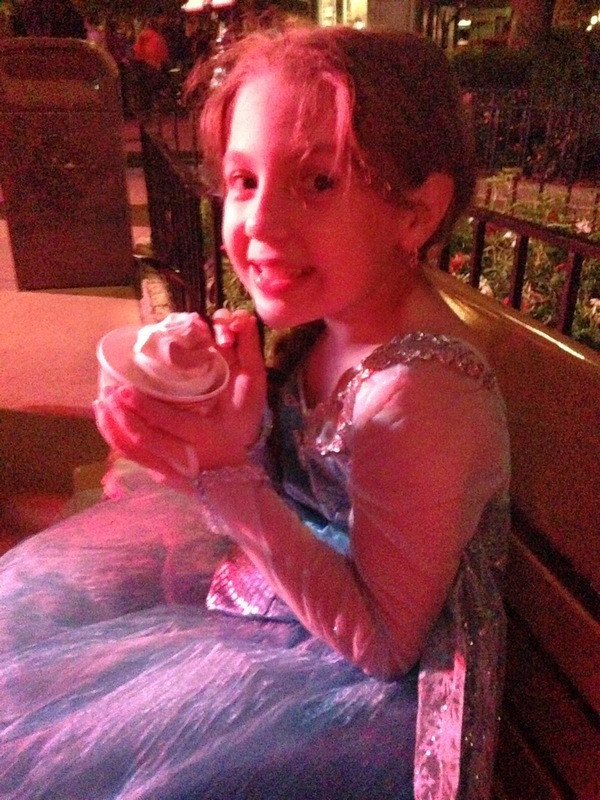 Besides the Dessert Party we also had private seating for Wishes....I could'nt miss this! 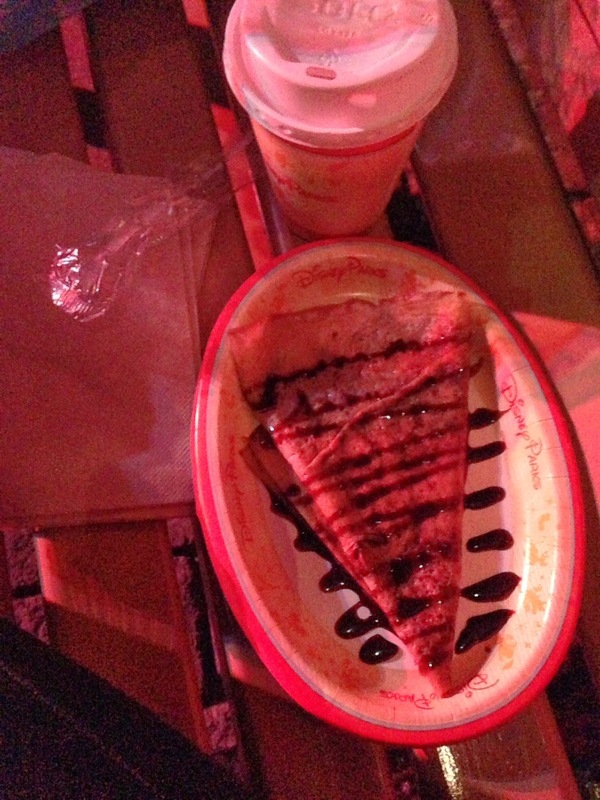 So off we went, but we stopped in France for a chocolate crepe & icecream. We also stopped in Morocco to check out the stores and take some pictures. 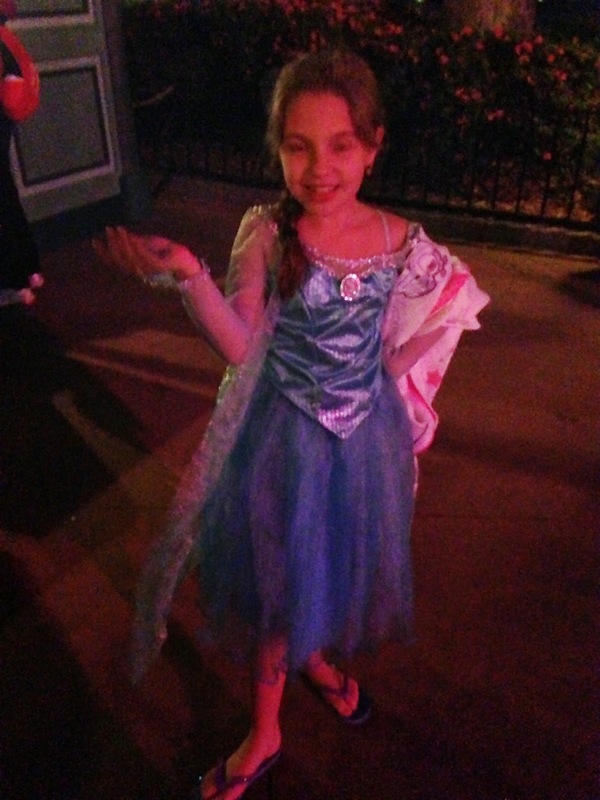 Then we headed to Canada for our dessert party. Once we arrived, baby girl had some more icecream, and I had coffee and some cookies! Then a quick story about the creation of Wishes by Scott Wolf and then fireworks time!! As always, it was amazing - I love all the Disney fireworks shows, and the private seating was an extra special treat. When it was all over, we hung out there for a bit and then made our way back to International Gateway. I took a few more pictures along the way. We are back at the resort and we are exhausted!!! Time for a good night's sleep.....this is our last night here! Tomorrow morning we are packing up and taking one last stroll before heading out to the airport.